On Wednesday, it was announced that a pivotal heavyweight tango between former champion Andrei Arlovski (pictured) and Stipe Miocic will co-headline UFC 195. The January 2 event takes place inside MGM Grand Garden Arena in Las Vegas, Nevada. 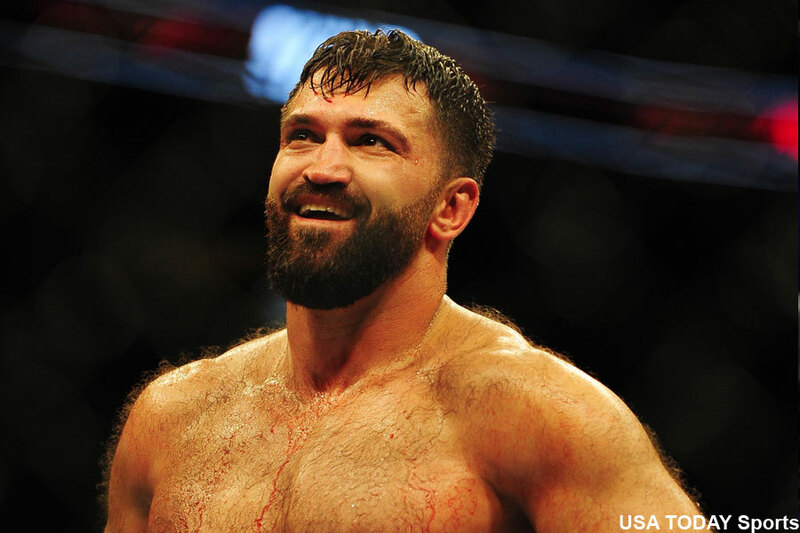 Arlovski is enjoying a late career resurgence having won six straight scraps. “The Pitbull” was seen last month taking a decision over Frank Mir at UFC 191. An impressive finish over Miocic could put him right in the title hunt. Miocic, meanwhile, was slated to face Ben Rothwell this Saturday at UFC Fight Night 76, but was forced to pull out with an injury. He is victorious in four of his past five outings, most recently beating Mark Hunt via TKO in May. The Croatian’s lone blemish during his current run was a highly controversial decision defeat to Junior dos Santos. Welterweight champion Robbie Lawler will defend his throne against former interim champ Carlos Condit in the show’s featured attraction.